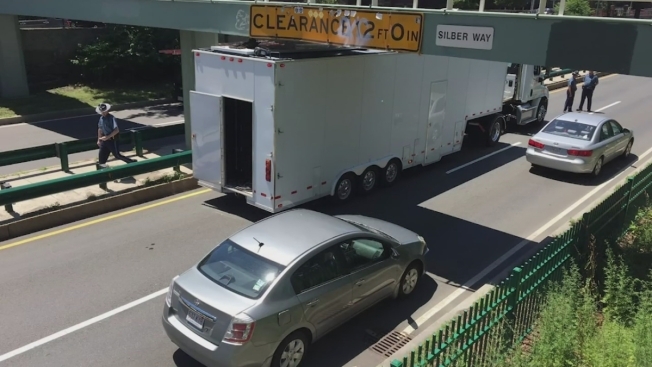 Officials were able to get a truck stuck on Storrow Drive out Tuesday morning after it caused a delay in traffic. Massachusetts State Police announced that an over-height truck's roof was stuck near the tunnel at Copley in the eastbound lane. The right lane of Storrow Drive's eastbound lanes was closed as authorities worked to free the truck. No injuries were reported.